Following their administration prior to last weekend’s United States Grand Prix, Marussia’s administrator have announced that they have ceased trading and have closed up. There had been rumours that Russian backers were looking into running the team next season, but the opportunity fell through. The team’s closure will lead to the loss of over 200 jobs. “It goes without saying that it is deeply regrettable that a business with such a great following in British and world motorsport has had to cease trading and close its doors,” said FRP administrator Geoff Rowley. “Whilst the team made significant progress during its relatively short period of operation, operating a F1 team requires significant ongoing investment. The group was put into administration last month following a shortfall in on-going funding and the administration process provided a moratorium to allow for attempts to secure a long term viable solution for the company within in a very limited time-frame. Sadly no solution could be achieved to allow for the business to continue in its current form. We would like to thank all the staff for their support during this difficult process. “As joint administrators our immediate focus will be to assist staff who have lost their jobs and provide them with the necessary support to submit timely claims to the Redundancy Payments Service. Meanwhile, Marussia’s former rivals Caterham are seeking £2.35m in order to race in the season finale in Abu Dhabi. So far they have raised just over £100,000. 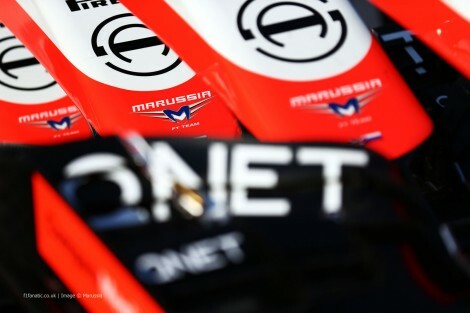 Like Marussia, the team went into administration prior to last weekend and did not take part then, or this weekend in the Brazilian Grand Prix. Caterham have began a crowd-funding mission in order to raise the money so that they can race in the finale and beyond. Caterham says it is, “giving both fans and sponsors a unique opportunity to be the driving force behind the team by crowd-funding its return to the grid in exchange for once-in-a-lifetime rewards”. It emerged last week that former Grand Prix winner and championship runner-up Rubens Barrichello was set to drive for Caterham in the last 3 races had they been able to make the grid. The Brazilian was hoping to make a return so that he can bid a proper goodbye to the sport following his replacement at Williams for 2012 in favour of Bruno Senna.